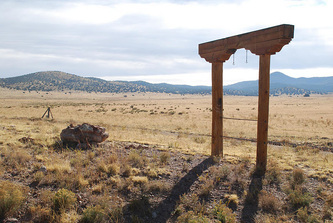 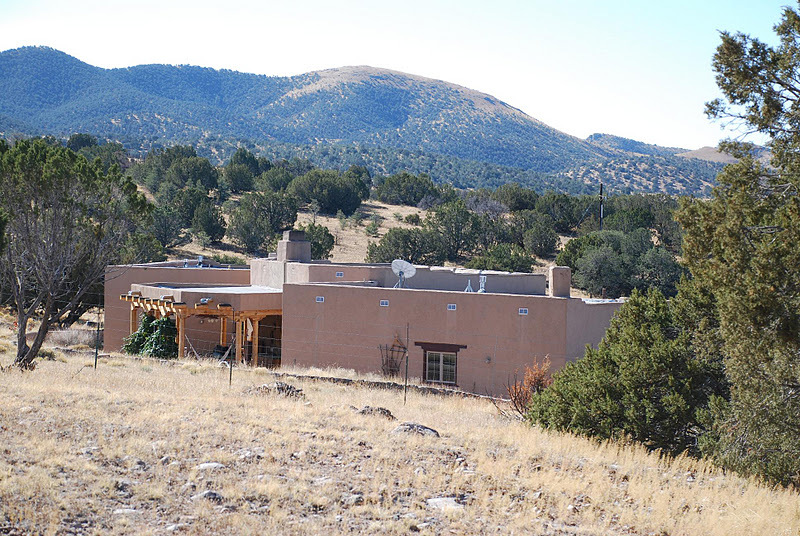 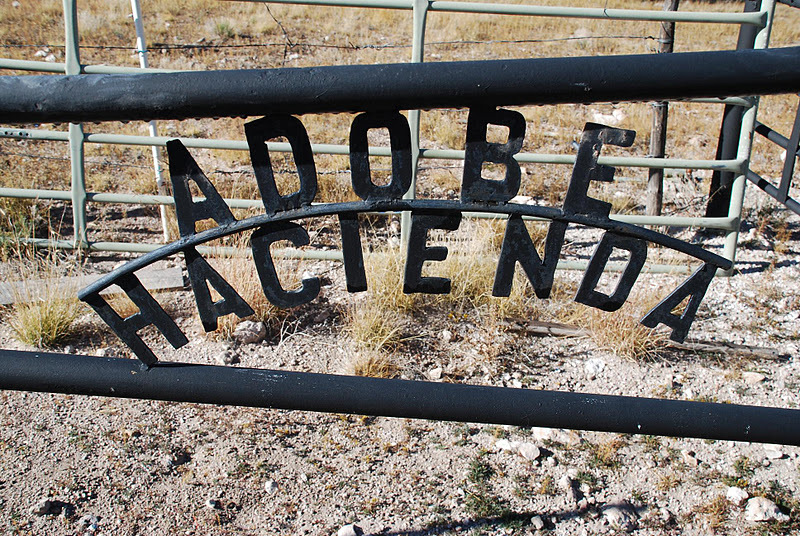 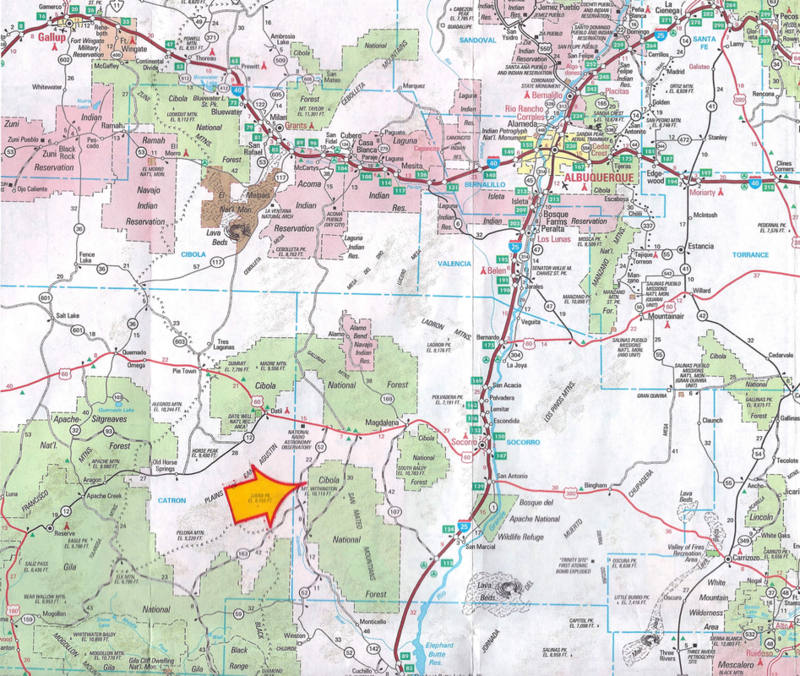 Nestled in a quiet canyon, just 13 miles west of Magdalena, the Adobe Hacienda is on 80 acres surrounded on all four sides by BLM public land. 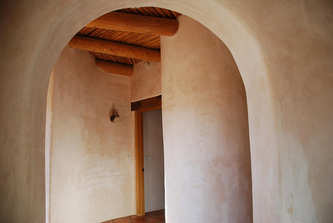 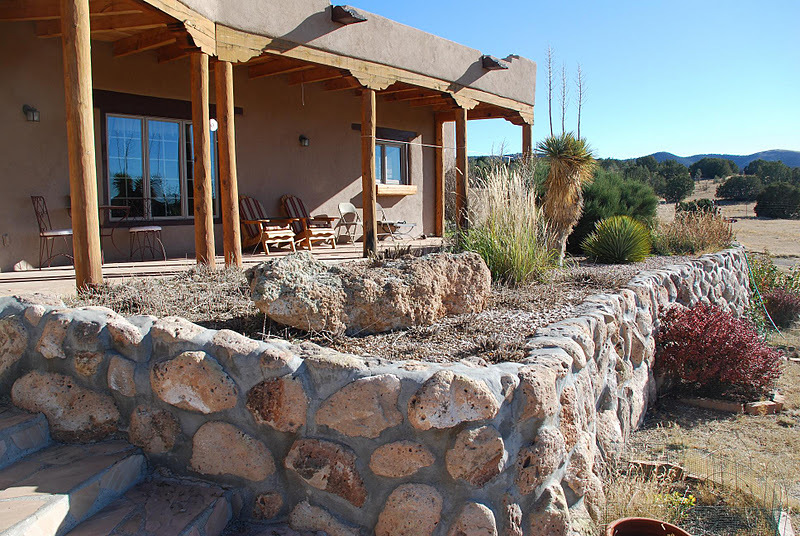 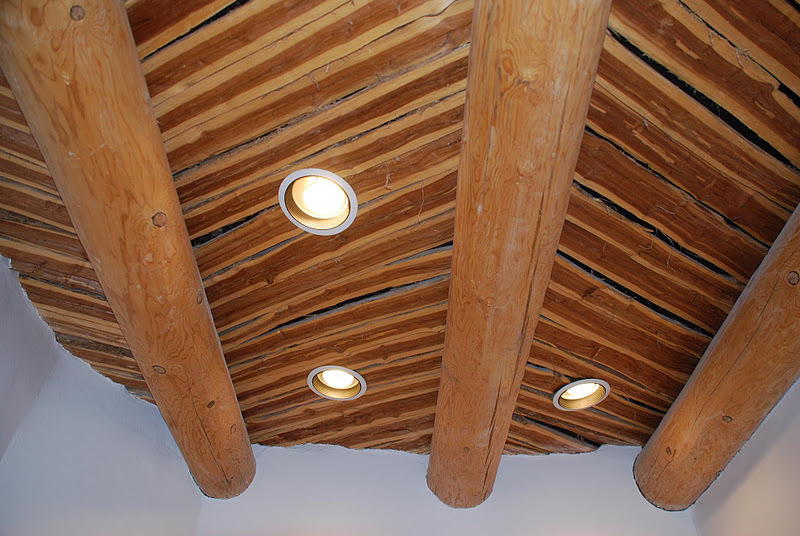 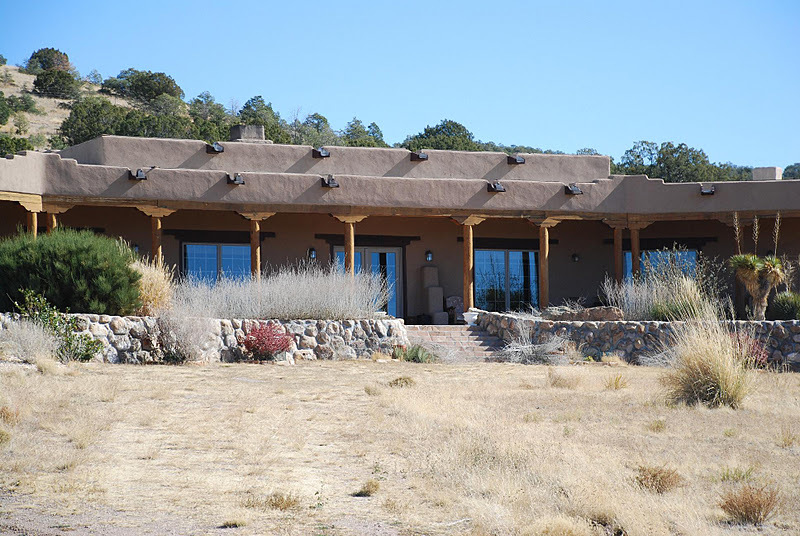 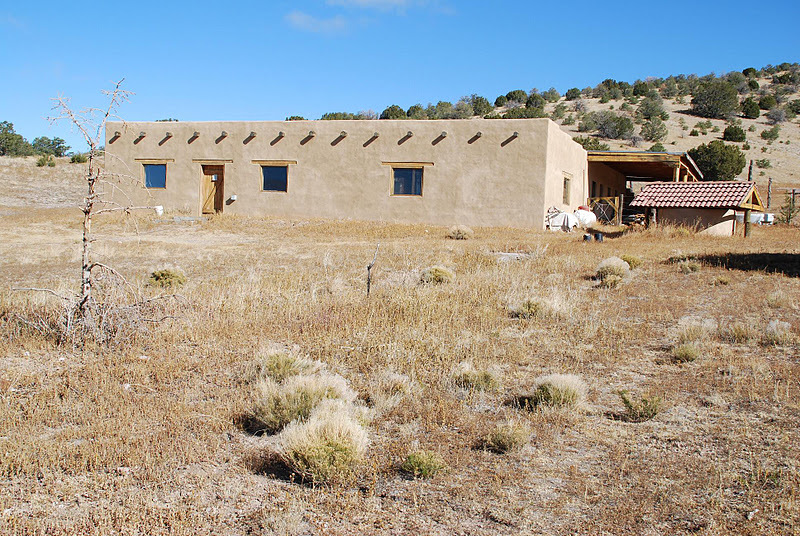 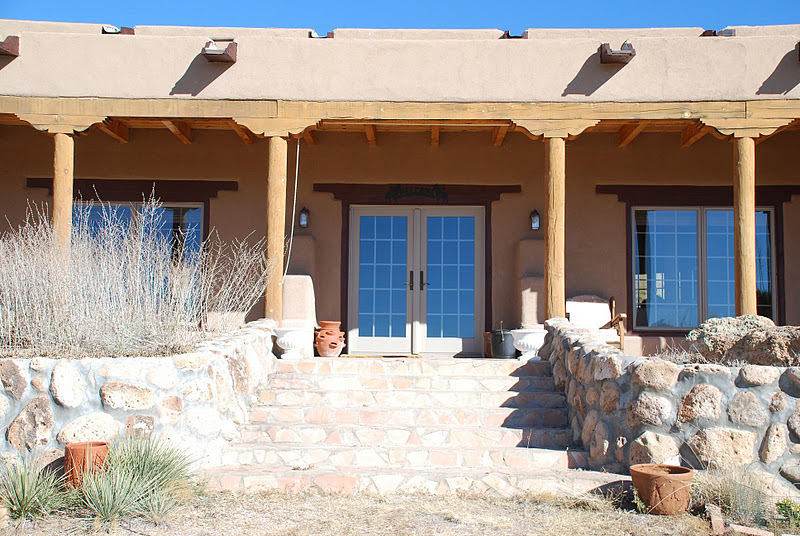 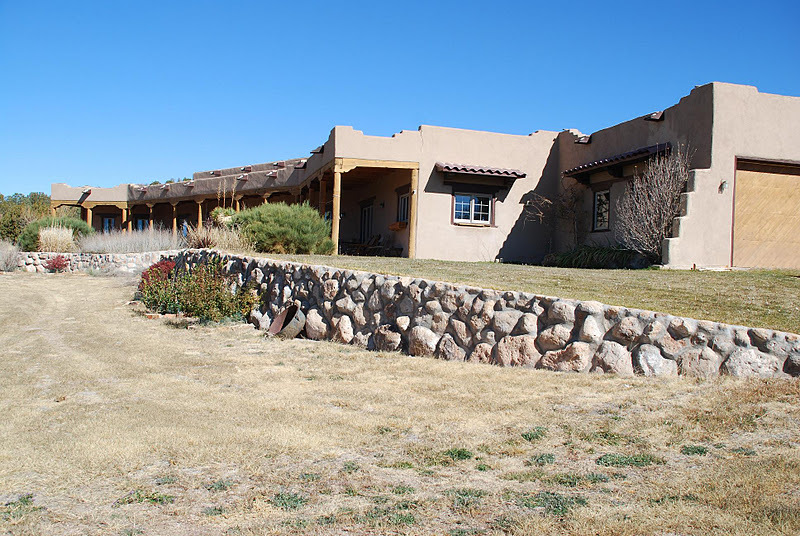 The home features perfectly rounded adobe walls and arched entrances, exposed adobe accents, and custom kiva fireplaces in the kitchen and master bedroom. 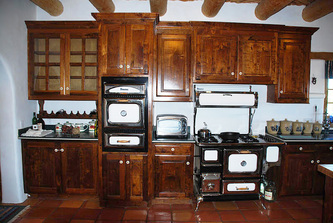 A full length portal graces the front, or you may enter through the two-car garage straight into the country kitchen, which features a Homeland reproduction stove and oven. 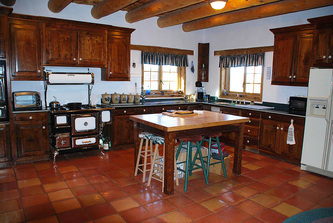 Directly connected to the kitchen is a large dining area. 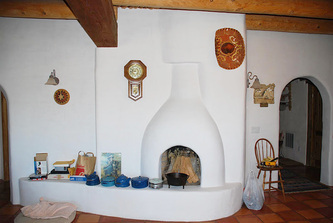 The expansive living room boasts a huge fireplace with a gorgeous limestone wood stove. 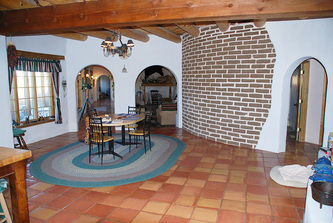 Throughout the house and the garden terrace there are beam & latilla ceilings, and all floors in the house are of perfectly laid Saltillo tile. 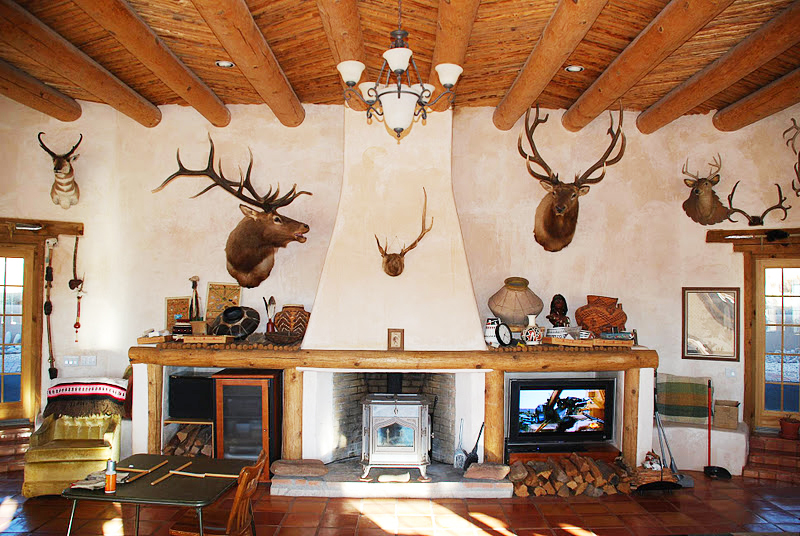 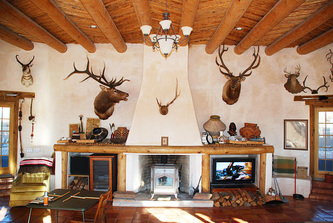 The home was built by a professional hunting outfitter, and his passion for nature and the local wildlife is literally on display in the living room, where large elk and a mountain lion are mounted on the walls. 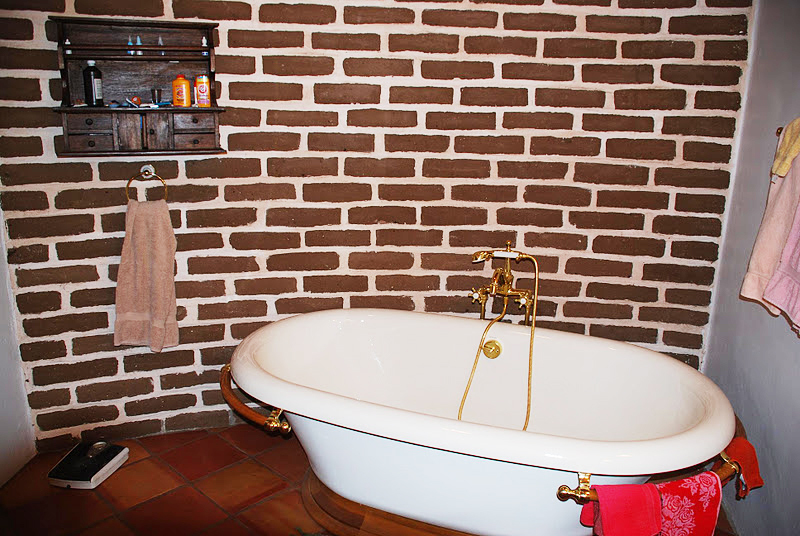 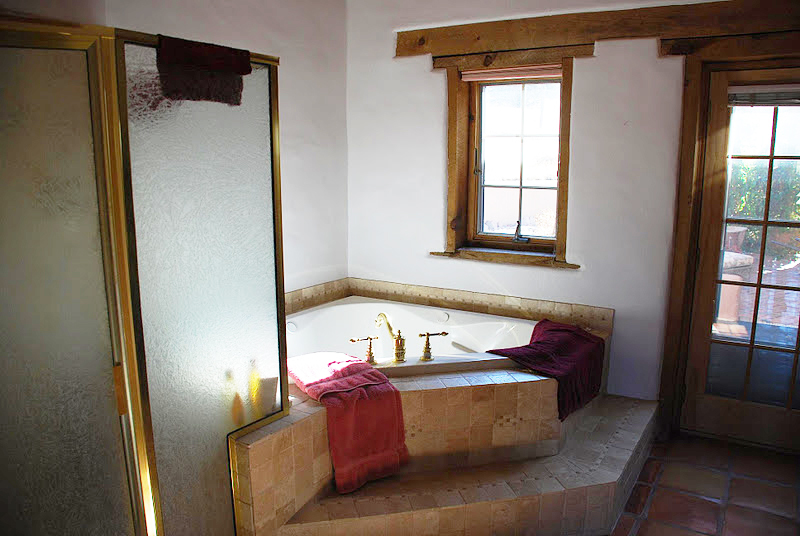 The two large full baths feature a claw-foot tub in one and a jetted tub in the other. 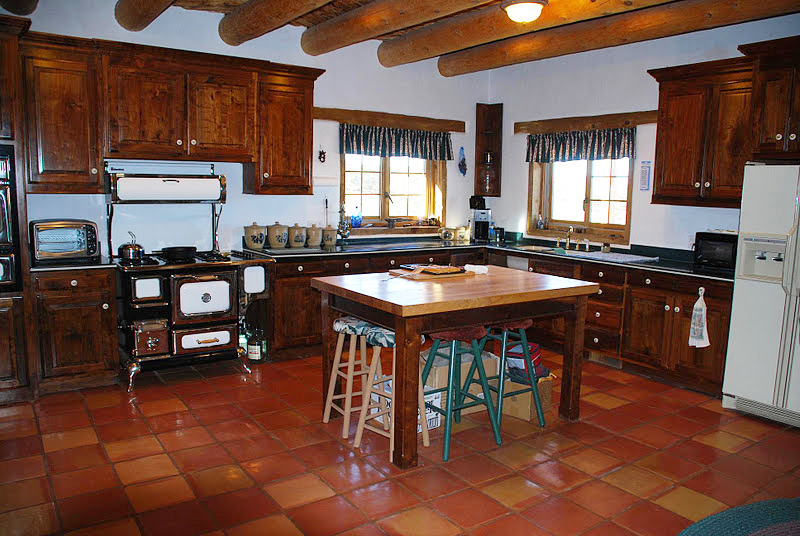 Marble counter top finishes add to a welcoming, fresh and modern look. 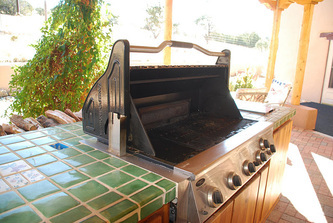 Out back is an impressive outdoor cooking pergola, where a very large barbeque grill is set into a sizable kitchen counter topped in Mexican ceramic tile. Above the 3,700 square foot Hacienda lies a 1,200 square foot adobe barn which features a large courtyard for family gatherings. 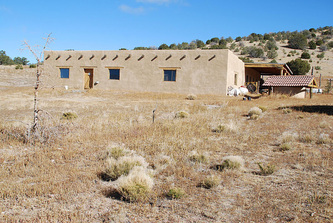 This building has been used as a shop and a RV garage, but it could also be built out as a lovely guest house. 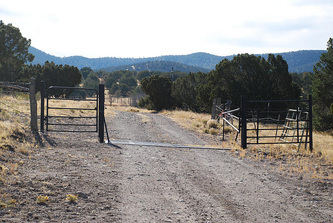 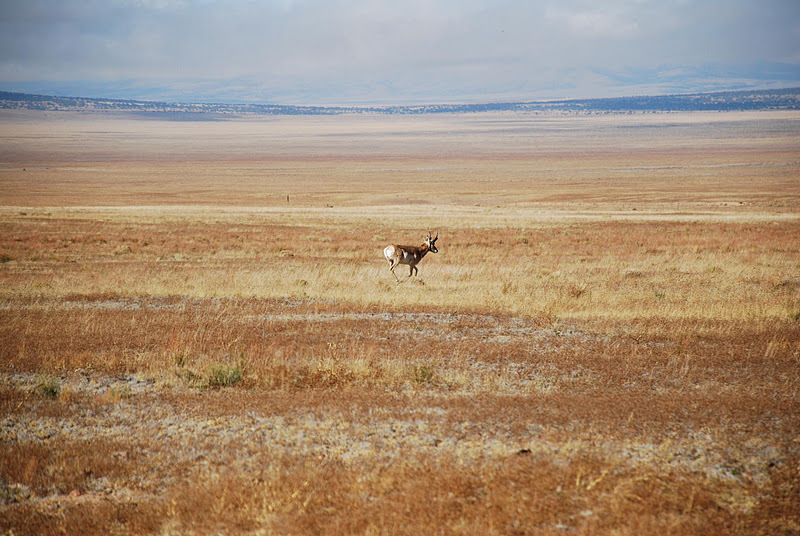 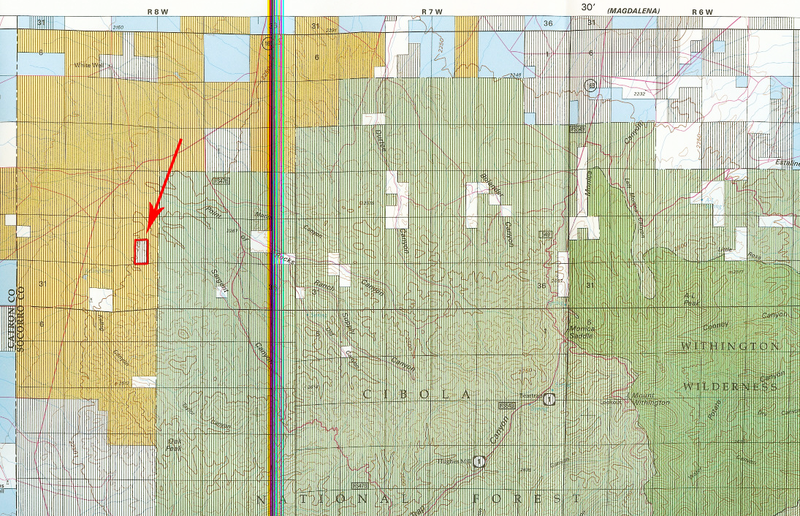 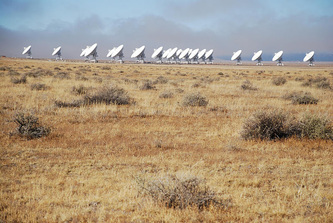 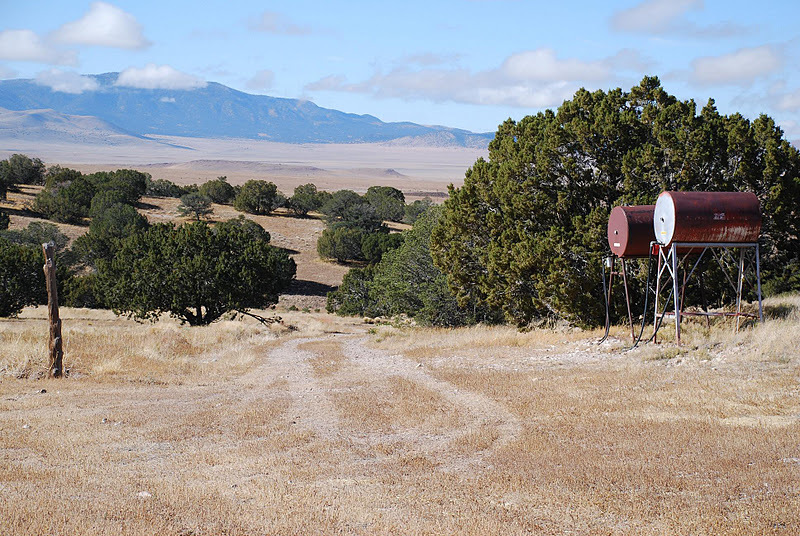 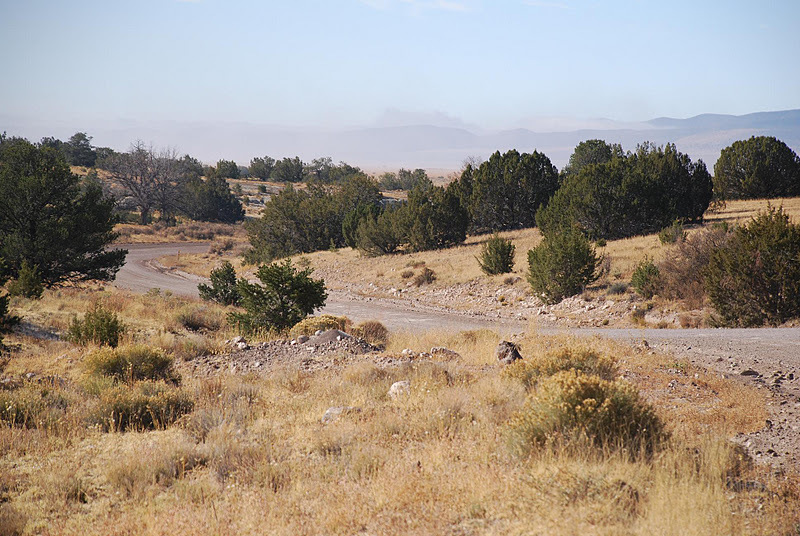 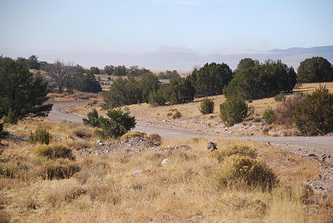 There is total privacy here; the nearest ranch neighbor lives 17 miles away. 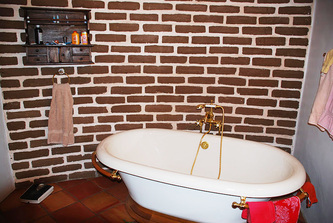 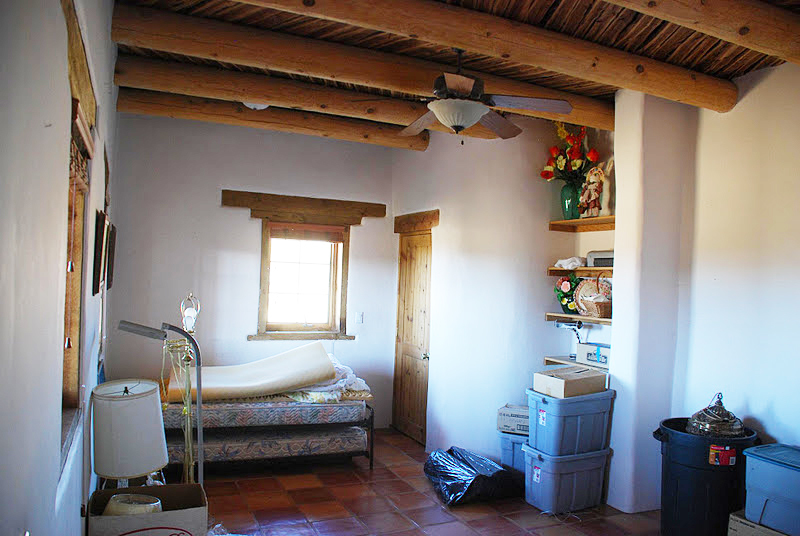 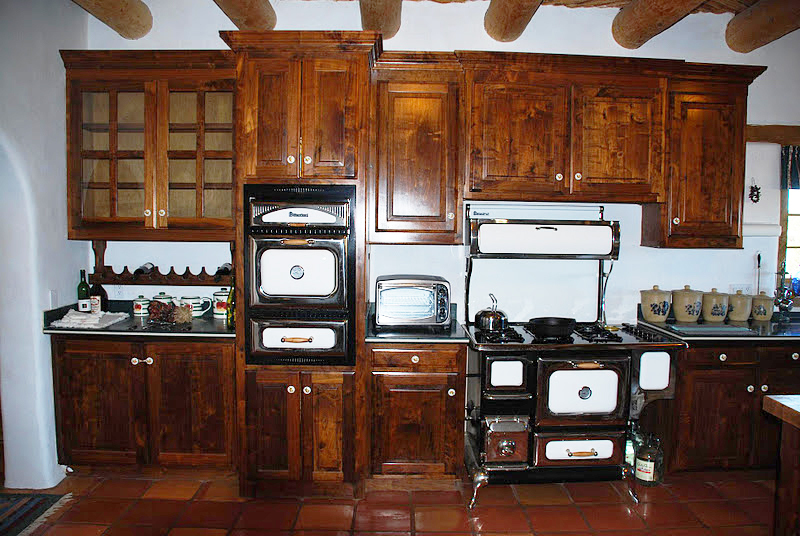 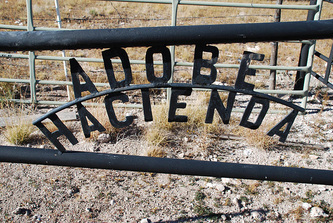 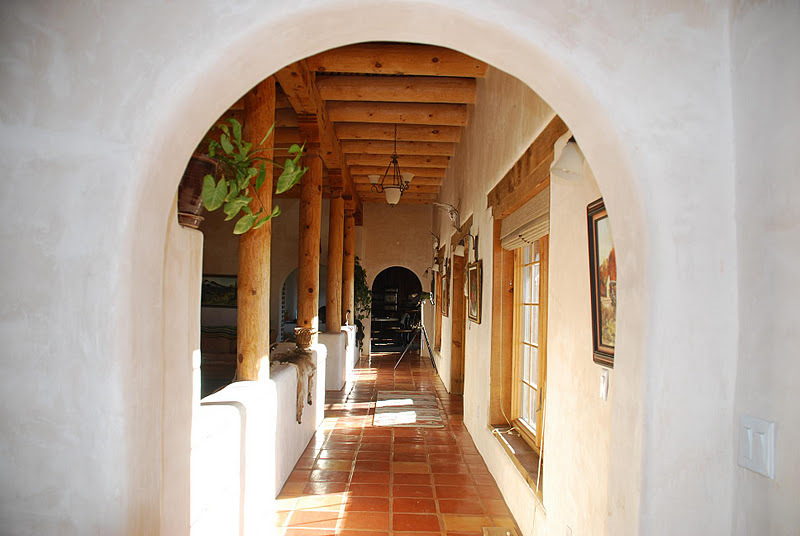 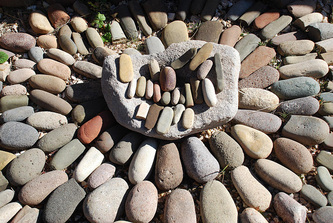 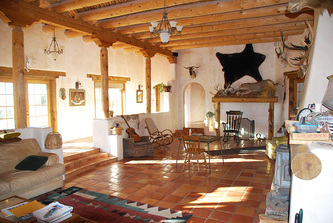 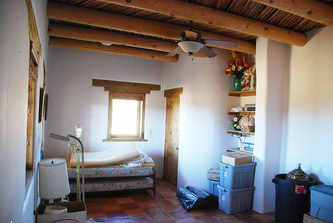 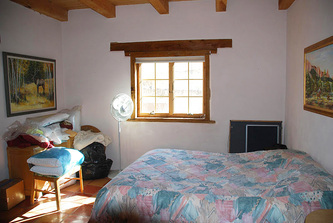 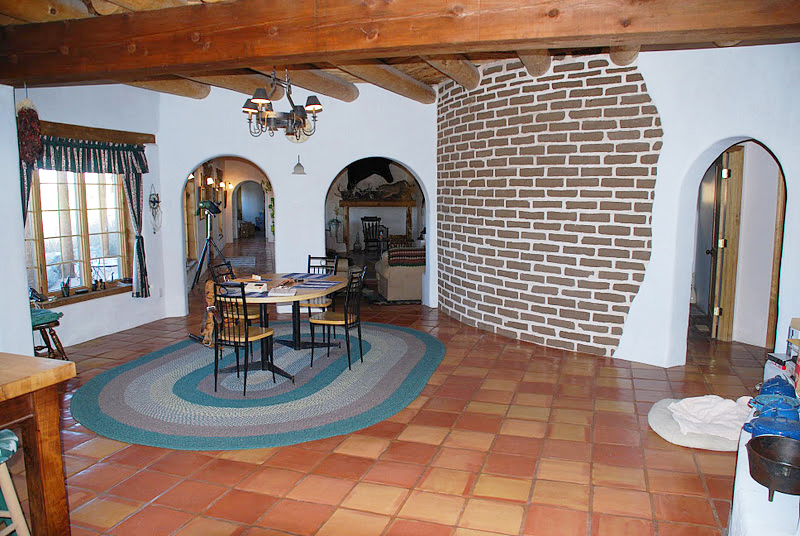 The Adobe Hacienda feels like a comfortable escape from the harsh ranch life around it. 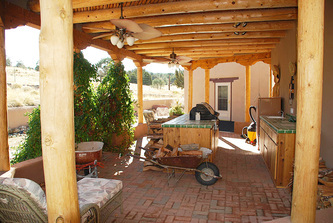 Its mature gardens are laid out with flowers, fruit trees, indigenous plants, herbs and vegetables. 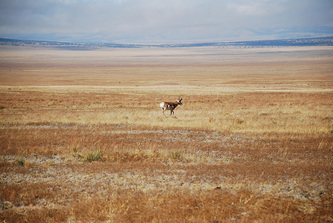 This is a place to enjoy perfect privacy and cultivate a peaceful lifestyle in the country.